Can body language reveal ones true feelings? 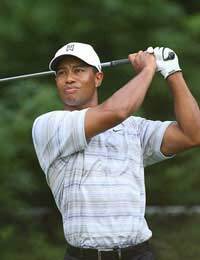 Experts weighed in on golf superstar Tiger Woods’ recent speech about his infidelities and question whether he was sincerely sorry for his actions based on his body language. On November 27, 2009, Woods was involved in a car crash near his home. Worry soon turned to wonder when the public learned Woods was leaving his home at 2:30 a.m. and was freed from the car when his wife, Elin, smashed the window with a golf club. As more information was provided, it was learned that Woods’ wife may have actually been chasing him out of the house because he had been having extramarital affairs. Woods refused to talk to the police about the incident and many were puzzled as to what actually went on that morning. On December 11, he released a statement in which he apologised for “indiscretions,” but failed to be specific as to what they were. Woods finally admitted to being unfaithful to his wife in a very closely guarded, televised speech on February 19, 2010. He admitted he had been wrong in doing it and apologised to his family, friends, fans, and business partners. But, was the apology really heartfelt? Many body language experts believe that Woods was a little less than sincere in his apology. Joe Tecce, a professor of neuropsychology at Boston College, is a body language expert. After reviewing Woods’ speech, he said that while the golfer was trying to be sincere, it looked more like a well rehearsed theatrical performance. Wood did say that at least one part of Woods’ speech was genuine. When he praised wife Elin’s “grace and pressure,” his facial expression and words were synchronous, showing that the words were sincere. Beattie pointed out how Woods started out his speech slowly, giving the impression of someone who was broken by this experience. But, that may have been intentional. Someone that wants to be perceived as genuine will speak slowly, whether they mean it or not. Beattie also spoke of the moment when Woods put his hand over his heart. He felt this was definitely a staged gesture, given that he was looking into the camera when he did it. He pointed out that while people who are giving a heartfelt speech will look at the person they are delivering the speech to, it doesn’t happen all the time. “With real nonverbal behaviour a person may do that [look at the person] spontaneously 60-70% of the time, but not all of it,” Beattie said. However, Woods looked at the camera ever time he wanted to show his remorse. Another non-verbal gesture that Woods couldn’t control was his blink rate and swallowing rate. Beattie noted that both went up during the key points of the speech. The increase is a result of acute anxiety and nothing Woods could have rehearsed. But, Beattie was unsure as to whether the anxiety was a result of the fact that offering a sincere apology is difficult or because Woods knew that his future was riding on how this speech was perceived. Even the body language of Wood’s mother Kultida was under close scrutiny of Beattie and other experts. Beattie noted that Kultida was initially standing in a very closed off position, which showed negative emotions towards Woods. But, as his speech went on, she relaxed the stance. By end of the speech, she patted Woods on the back while hugging him, a sign which Beattie says showed she still loved him. The real question is whether the public picked up on subtle non-verbal gestures that the experts felt conveyed falseness in the speech. Only time and the public’s reception of Woods coming back into the world of golfing will tell.